Soft tissue sarcomas represent a heterogeneous group of rare malignancies exhibiting mesenchymal differentiation with an overall incidence of around 5/100,000/year. 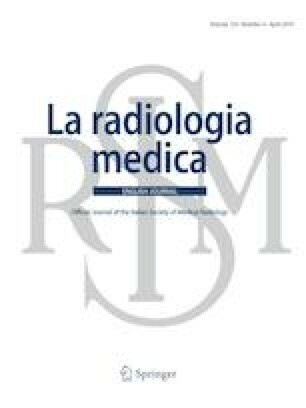 Rarity and morphologic heterogeneity significantly affect diagnostic accuracy; therefore, expertise can be achieved only through access to large number of cases. Soft tissue sarcomas are currently classified on the basis of the 2013 WHO classification of soft tissue tumors that integrate conventional morphology with immunohistochemistry and molecular genetics. The morphologic diagnosis of sarcoma relies on the evaluation as well as the integration of four main features: the shape of the neoplastic cells; the pattern of growth; the quality of the background; the architecture of the vascular network. Immunohistochemical characterization plays a key role in the diagnostic workup of soft tissue sarcomas. The majority of classic differentiation markers tend to show good sensitivity, however, associated with rather limited specificity, making interpretation in context with morphology mandatory. Molecular genetics is increasingly used for diagnostic purposes to distinguish specific subtypes of sarcomas, to support diagnosis in non-canonical clinical presentations and also to distinguish true sarcomas from benign mimickers. With many exceptions, histologic typing does not provide sufficient information for predicting the clinical course of the disease and, therefore, grading systems based on histological parameters were introduced to provide a more accurate estimation of the degree of malignancy of tumors. The three-tiered system devised by the French Federation of Cancer Centers Sarcoma Group (FNCLCC) systems is widely adopted; however, several limitations exist that have led to the development of prognostic nomograms that incorporate the specific histotype as one of the relevant parameters. AP Dei Tos has received speaker honoraria from PFIZER, Lilly Oncology; PharmaMar. M. Sbaraglia as received a speaker honorarium from PharmaMar.